The Commonwealth of Dominica's first case before the Caribbean Court of Justice, Warrington v Dominica Broadcasting Corporation, was decided in favour of the Appellant Mariette Warrington. Attorney-at-law Cara Shillingford, who was assisted by Attorney-at-law Jonathan Bhagan, represented Ms. Warrington before the Caribbean Court of Justice. In a thirty page judgment delivered on the 30th of November 2018, the Caribbean Court of Justice unanimously overturned the decisions of both the High Court and the Court of Appeal. 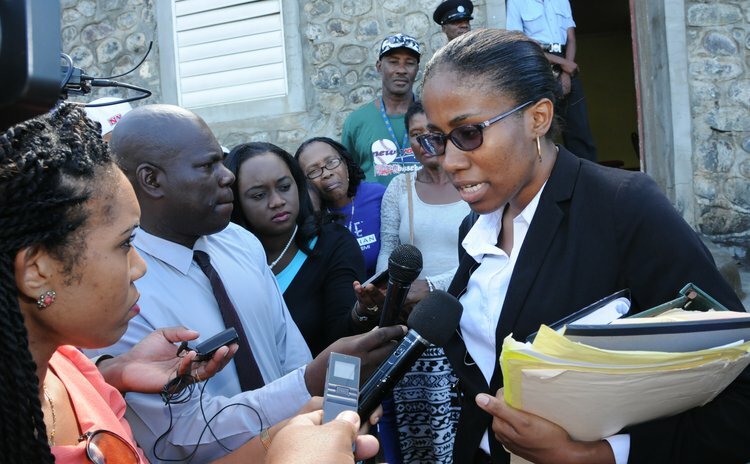 In a joint statement, Attorneys-at-law Ms. Cara Shillingford and Mr. Jonathan Bhagan stated: "This is a landmark decision in both public and employment law which will undoubtedly serve to protect persons employed by Public Authorities throughout the region. This decision has secured justice not only for the particular litigant involved, but also for all persons employed by statutory corporations and even private entities throughout the region. The Caribbean Court of Justice has proven that it can be trusted to deliver fair and impartial justice to the citizens of the Caribbean. The CCJ ruled against a state-owned corporation and in favour of advancing the rights of individual employees. It is a model court worthy of commendation." The main issue in this case was whether the Appellant Ms. Warrington was employed under a valid employment contract when she continued working for the Dominica Broadcasting Corporation for a period of fifteen months after the expiration of her written contract. The Dominica Broadcasting Corporation sought to rely on its alleged failure to get advice from the Prime Minister in order to avoid any contractual obligations owed to Ms. Warrington. "The good sense of the modern approach invites a similar conclusion, in the present case, that it is unlikely that it was the purpose of Parliament that a failure to obtain the formally conveyed advice of the Prime Minister to renew the appointment should result in its invalidity, if no purpose would be served by the consequence of invalidity. It is manifest, on the facts of this case, where the Prime Minister accepted the fact of Ms. Warrington continuing to perform as General Manager, that the failure to obtain the Prime Minister's advice in a formal manner was a trifle. As stated, the Prime Minister's approval and acquiescence amounted to retrospectively advising on the appointment. This Court is satisfied that Parliament did not intend such a trifling failure to result in the invalidity of the appointment." It may now be appreciated that the Labour Contracts Act was intended to protect employees by prohibiting the very conduct the Corporation seeks, even now, to uphold – to deny certainty to an employee as to the terms of her contract of employment. That proscribed conduct enabled employers in the past to abuse employees by leaving it open to employers to tell an employee, at whatever stage the employer chose, that a certain term, however unfair to the employee, was a term of the employment. This is what the Act was passed to prohibit. To repeat, where the employer fails to provide the terms of the employment in writing, within 14 days, the Act operates to provide – to impose -- terms contained in the basic labour contract and it is not open to the defaulting employer to say he did not intend those terms to apply." "Law must be premised on principle and must also make sense. Notwithstanding the requirement that the Prime Minister should advise or approve the appointment of the manager, it would be unreal to suppose that, throughout the 15 months after the expiry of the 2004 contract, there was no employment arrangement in existence between Ms Warrington and the Board. Ms Warrington was dutifully carrying out the functions of the office and for this she was being paid. The Board was always fully aware of this. If either party desired to end that relationship, they were obliged to do so on notice." Damages in the sum of EC$52,300.00 and costs in the sum of EC$37,000.00 plus prescribed costs and disbursements were awarded to Ms. Warrington as the successful party.